Got lots of weddings to attend this season? No worries! These online brands will help you achieve the look of your dreams whether it's for your own wedding or for your third cousin's (any reason to attend a wedding, am I right?). Plus, you never have to worry about repeating an outfit way too many times, because you can rent outfits as and when you need them. Phew! That solves the clutter problem, too. For serious budget wedding shopping, check out FlyRobe. You'll find plenty of lehengas, anarkalis, sarees, kurta–pyjamas, Nehru jackets, sherwanis, gowns, and what not to choose from here. They're super-affordable too, with prices starting from INR 199 for a blouse (for a four-day rental period). Plus, you can visit their physical store in Indiranagar for a 'try it before you rent it' feel. P.S. They rent out accessories, too! Apart from stocking up on a stylish range of sarees, evening gowns, long jackets, palazzos and anarkalis, Kyasa also has a separate bridal wear collection that will make you shine at the wedding, even if you aren't the bride! Rates start from INR 600 and the outfit can be rented for three days after paying the cost price as caution deposit. What's more, you can alter your clothes as per your measurements. Barely two weeks old, Toute Studio in HSR Layout lets you rent stunning handwoven Bollywood type designer lehengas, sarees and gowns at prices starting from INR 10,000 (for 4-5 days). 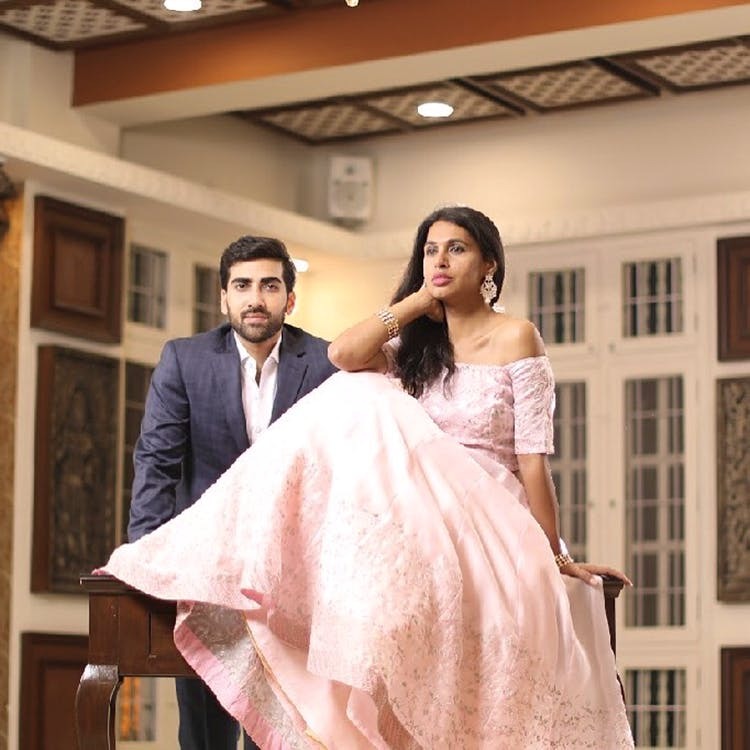 Since the store has just started, they are renting out their jewellery free of cost, but you can also rent the antique-style studio space (for INR 1,000 per hour) to have a grand wedding photoshoot. They also have party wear options for all the ceremonies surrounding a wedding. Not only can you rent out the perfect bridal gown with crystal, lace and trims or the lehenga of your dreams with rich and intricate details, you can even find accessories to exactly match your outfit. Trust us when we say it’s the real deal here at TDB. Prices start from INR 250 and can go up to above INR 12,500 and beyond. Also, if you have clothes lying around at home that you don’t use anymore, you can rent it here and make money off it! Wow your friends and family with a red carpet worthy look from Date The Ramp. You’ll find pretty off shoulder blouses with bright coloured lehengas, intricately embroidered sarees, kurtis and long gowns too! Starting from INR 1,400, it’s reasonably priced for the quality they have on offer. If you want to jazz up your outfit, they have plenty of accessory options too. And if you want to try out the products before renting it, you can head to their flagship studio in Ashok Nagar.